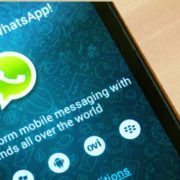 I am sure most users reading this article use WhatsApp and Facebook. But as you know, there are a number of Facebook users who can’t recognize your language. 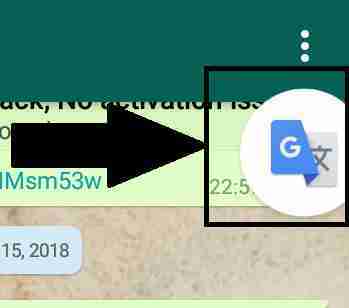 Though the problem is not that big in WhatsApp. The reason is simple. Most people talk with people they personally know, on WhatsApp. But on Facebook, you can meet new people who might not know your language. In such cases, it can be handy to translate the messages into your language on the fly. But how to do that? I will explain that here. 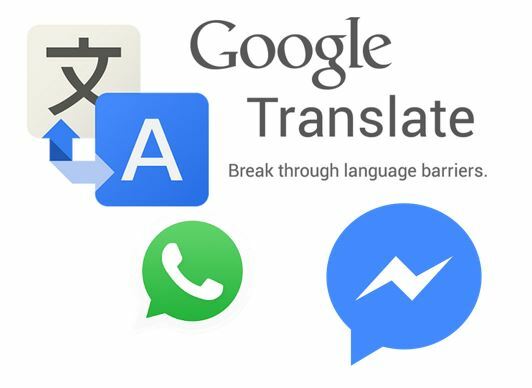 The Google translate can also be used for Whatsapp and Facebook translation of messages. The steps are very simple to use it for. 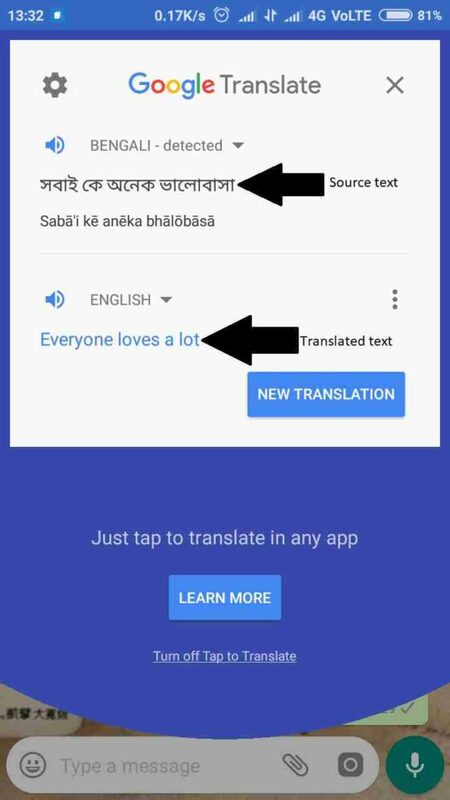 I don’t think you will face any kind of troubles with the method of translating messages into your own language, I am showing here. But it is not limited to only messages. You can even translate posts, comments to your preferred language. You can translate whatever you want actually. Thus, it is surely going to be a handy tutorial for you. But how to do everything. 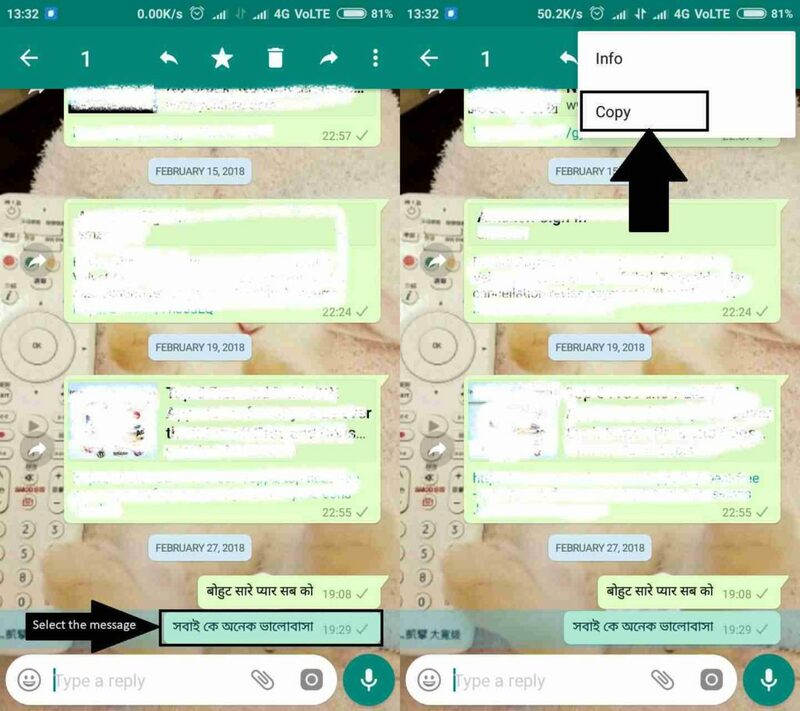 Let’s find out how to translate Whatsapp facebook messages to English, Hindi, Spanish, Bengali, Russian and other preferred on Android or iPhone. 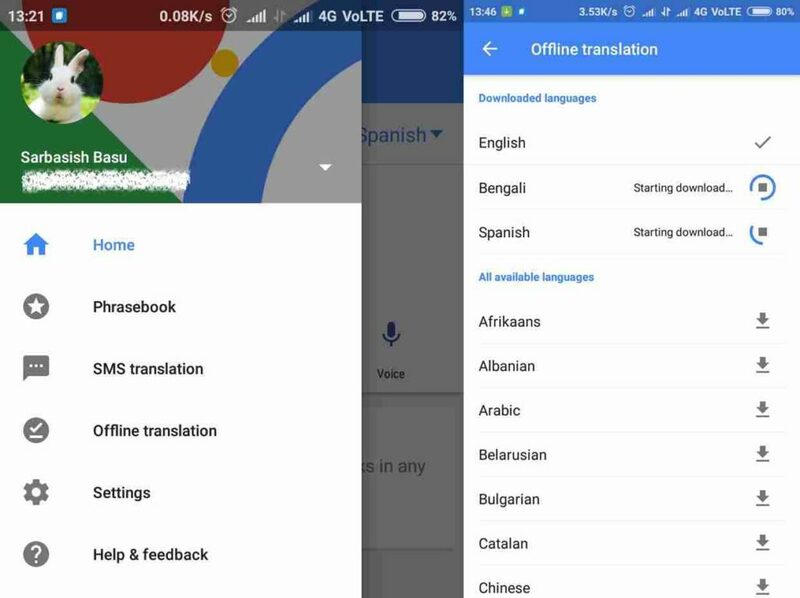 The first task would be to download and install the Google Translate from the Google Play Store. You can even download it here. Step 1: Open it. On opening, you will get the following screen. After that just tap on ‘Done’, then selecting the primary languages and language you want to translate. Step 2: Now tap on the hamburger menu, on the top left corner of the screen. Go to ‘Settings’ Tap on ‘Tap to Translate’. Turn on ‘Enable’. Leave the other settings as it is. All the settings are ready now. It is the time you should try translating. 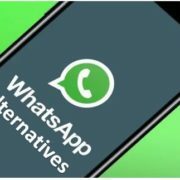 Step 3: Open WhatsApp or Facebook. You can even open any other messaging app like hike, Wechat, and others. 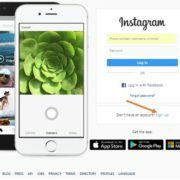 This is a unified tutorial for all the apps. Step 4: Just select the message you want to translate. Copy the message. Step 5: A small ‘Translate’ bubble will appear on the right side of the screen. Step 6: Just tap on it. You will get the translated text. You can even change your translation language. Step 7: By default, the translation will be done in English. You can even change the translation language. If you think the automatically selected language isn’t correct, you cannot even change it. The tutorial can also be helpful got SMS translation to a preferred language. Step 8: If you read messages or other texts offline, you can even download the languages offline. 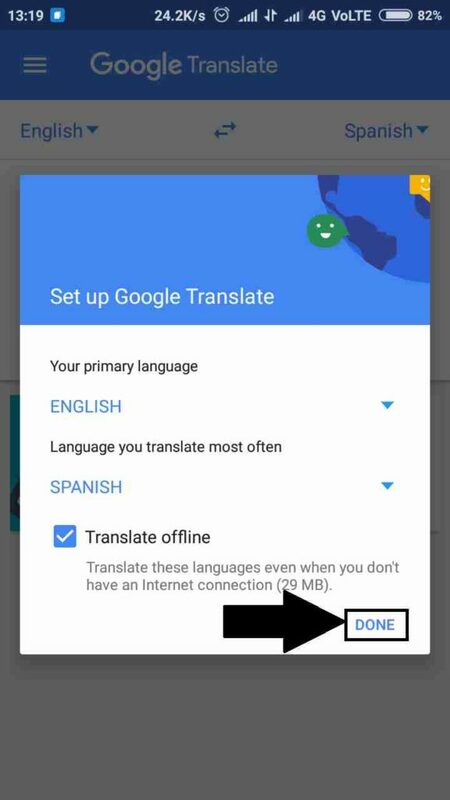 It can help you in translation, without a data connection. Just tap on the hamburger menu. 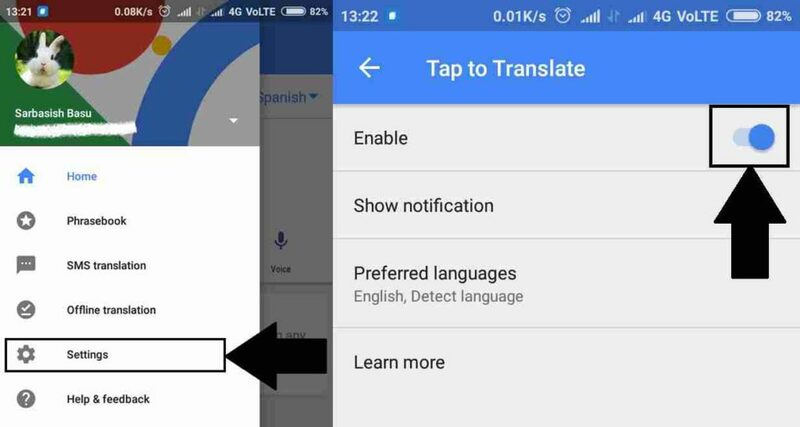 Tap on ‘Offline translation’. 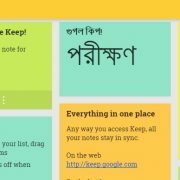 Now download all the languages you want. Hope the small tutorial was helpful for you. Faced any troubles with the tutorial? Let me know about it in the comment section down below. I will surely help you out.